The Egyptian parliament's legislative and constitutional affairs committee will begin holding national dialogue meetings on proposed amendments to the country's 2014 constitution on Wednesday. On Wednesday, heads of a number of Egyptian universities and members of its teaching boards, as well as representatives of student unions, are expected to join the national dialogue's first hearing session. As many as 60 participants are invited. "In total, 120 participants are expected to attend the first national dialogue meeting on the proposed constitutional amendments on Wednesday," said an informed source. "In total, there will be six hearing sessions over a span of two weeks," said Ahmed Helmi El-Sherif, the deputy head of the legislative and constitutional affairs committee. The list of public figures includes Fathi Sorour, the former long-standing speaker of the Mubarak-era's parliaments; Mostafa El-Feki, head of the Bibliotheca Alexandrina; Magdi El-Agati, the former minister of parliamentary affairs; Fathi El-Masry, head of the Court of Cassation; Mohamed Abdel-Wahab El-Eissawi, deputy head of the State Cases Authority; Abdel-Raouf Moussa; head of the Administrative Control Authority; Gaber El-Maraghi, head of Cairo's Appeals Court; Hassan Farid, head of the High State Security Court; Mohamed Yasser Aboul-Fotouh, head of the Committee in charge of freezing and sequestrating the funds of terrorist organisations; and Mohamed Abdel-Aziz El-Shennawi, a former deputy head of the Supreme Constitutional Court. The list also includes prominent constitutional law professors such as Salah Fawzi (Mansoura University), Sabri El-Senossi (dean of Cairo University's Faculty of Law), Hesham Okasha (deputy head of Beni Suef University's Faculty of Law), Amal Othman (a former minister of Social Affairs and a professor at Cairo's Faculty of Law), Hesham El-Badri ( a professor of public law), and Mohamed Eid Mahgoub (deputy minister of justice). The list does notably exclude Amr Moussa, Egypt's former foreign minister and the man who chaired the 50-member constituent assembly which drafted Egypt's current constitution in 2014. 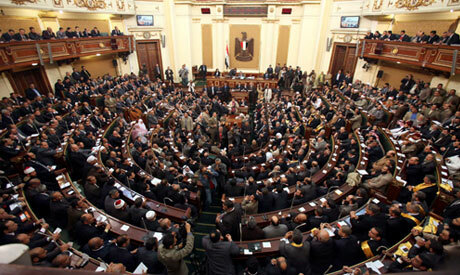 The amendments, submitted by the parliamentary majority Support Egypt coalition on 11 February, involve changes to 11 articles of Egypt's 2014 constitution: articles 102, 140, 160, 189, 190, 193, 200, 204, 234, 243 and 244. The coalition also proposed that eight new articles be added to the constitution.